This hidden gem exhibits a wide range of emerging to mid-career artists in an elegant high-ceilinged space flooded in light, with an old-fashioned fireplace to boot. 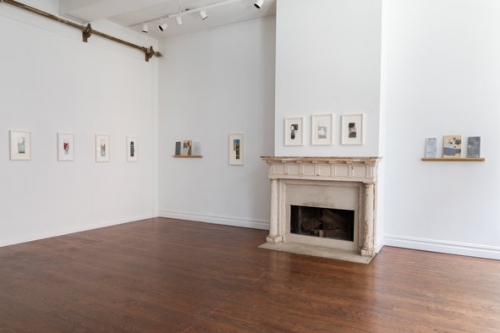 Highlights include the abstract minimalist paintings of George Negroponte on irregular pieces of cardboard. While they may appear slight at first, there’s a subtle beauty of geometric expression that shines through the longer you peer into these unique creations.